Numerous manufacturer(s) quality awards prove Eagle Rivet Roof Service Corporation strives and succeeds as the best in quality roofing & service, and in these economic times of uncertainty, price. 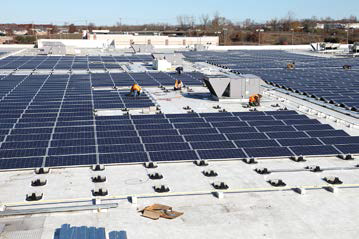 We are one of the few roofers that can scale services for homeowners, institutions, commercial properties, industrial facilities and municipal projects. From a leaky roof to large flat roofing systems, Eagle helps prevent water damage and ensures you enjoy the entire useful life of your roof. For almost a century, the craftsmanship of Eagle has withstood the scrutiny of thousands of satisfied customers. Our experience choosing, installing and maintaining state-of-the-art roofing materials is second to none. Our expertise in roof repair and preventative maintenance and our comprehensive project management skills, have created a stellar reputation we’re very proud to uphold. Our project will be featured at the DaVinci booth during the upcoming Int’l Roofing Expo in late February. Eagle Rivet Roof Service Corporation is an independently-owned, full service roofing company that specializes in commercial, industrial, institutional and residential roofing and roof maintenance services. Besides our centrally located corporate headquarters in Bloomfield, CT, we utilize our branch networks in Lowell, MA and Coral Springs, FL. This allows Eagle Rivet Roof Service, Inc. to service the Greater New England/ Westchester County, NY areas. Serving Connecticut, Massachusetts and Florida property owners with commercial flat roofs, all residential roofing systems and specialty roofing with solar photovoltaic (PV) panels and vegetative features, Eagle Rivet is the roofing contractor able to serve all sectors with roof repairs, roof restoration and roof design and construction. Demand the best from your roofing contractor! We tell you exactly what to expect from expert roofing contractors like ourselves. You deserve nothing less! Eagle Rivet is committed to the highest levels of customer communication and accuracy in estimates. We appreciate your business! We employ a variety of premium roofing systems and materials to satisfy the needs of each project. Looking for installation, warranty repair, or information about a specific roofing material, roofing supply brand or manufacturer? Eagle Rivet has the experience and expertise to advise you on your choices and opportunities. Eagle Rivet’s professionalism and craftsmanship has not only earned it recognition from satisfied clients, but also awards from manufacturers. 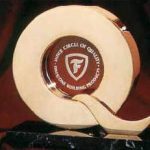 Eagle has been the recepient of several Firestone Master Contractor Awards, as well as Firestone Inner Circle of Quality Awards. Firestone is not the only manufacturer that has recognized the Eagle Rivet commitment to quality – we have also received recognition from Siplast, Sarnafil and other roofing manufacturer. Read more on our Awards and References page. It was great working with Eagle Rivet Roofing. They were able to get all required paperwork squared away in time to start a last-minute project. On top of that, they went out of their way to provide a crew for our project. We were impressed with their work and determination to accommodate all of the project’s needs. Your installation of our new DaVinci roof has come out just as advertised. Noting that we had a couple of minor problems that were satisfied without controversy, I am moved to comment “the proof of the pudding is in the tasting” and in our case it is good. I would be remiss if I did not compliment your crew and supervision. Along with working in an expert manner, they were hard working, polite and spent all their time working without a lot of chatter. This is the way America used to be!! Your crew was fantastic – prompt, courteous, thorough and friendly. I plan to recommend you highly to my friends and neighbors.